Truck Recovery & Cargo Svs. 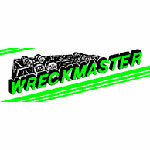 SW New Mexico Towing Company Luchini's Towing & Recovery has provided expert and affordable towing and roadside assistance in Las Cruces and SW New Mexico since 1963. 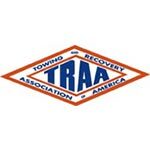 They are the trusted towing provider for many SW New Mexico residents, repair facilities, law enforcement departments and trucking companies. With a fleet of towing trucks manned by a team of trained towing professionals, Luchini's Towing & Recovery is your choice for quality and affordable SW New Mexico Towing. 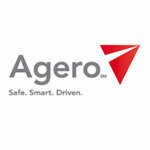 Call their 24hr dispatch center at 575-524-2201. 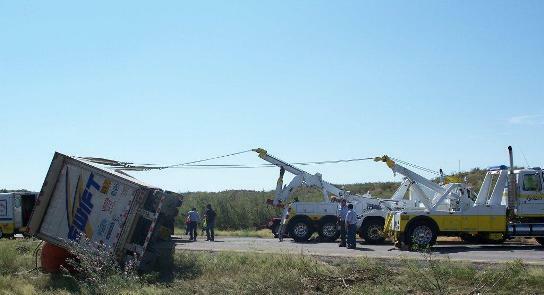 Providing immediate response Local Towing services is what Luchini's Towing & Recovery does best. Their team of uniformed, trained, certified and background checked towing professionals are ready to provide you with the best Towing available. 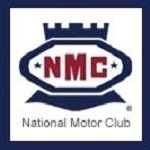 Learn more about their Las Cruces and SW New Mexico Towing and Roadside Assistance Services. SW New Mexico Towing Company Luchini's Towing & Recovery offers complete heavy duty truck towing throughout SW New Mexico and on all area Interstates and highways including I-10, I-25 and Highway 70. 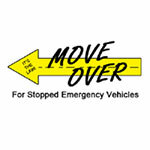 They can tow all truck types and maintain overweight and over length permits throughout the area. They will travel anywhere to return a truck to the SW New Mexico area. 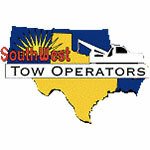 Learn more about their SW New Mexico Heavy Truck Towing Services. With a fleet of specialized trucks and an extensive inventory of recovery equipment, Luchini's Towing & Recovery provides expert and affordable heavy truck recovery services throughout SW New Mexico. 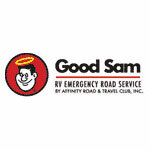 They service all area highways and Interstates including I-10, I-25 and Highway 70. 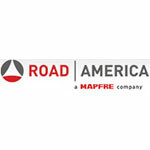 Learn about their New Mexico Heavy Duty Recovery and Cargo Services. 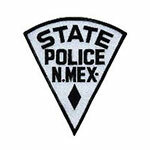 SW New Mexico Towing Company Luchini's Towing & Recovery partners with several local law enforcement agencies to provide reliable and safe towing and roadside assistance services throughout SW New Mexico. 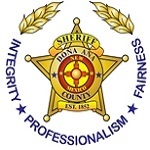 These partners include the Doña Ana County Sheriff's Office, New Mexico State Police Department and the US Border Patrol. These relationships are built upon years of trust and reliable service. Choose Luchini's Towing & Recovery knowing your choosing the trusted towing provider. Finding a reputable towing provider can be challenging but choose Luchini's Towing & Recovery knowing their insurance coverage exceed Federal and State of New Mexico Towing Insurance requirements. Taking risks with an underinsured tow provider could cost thousands of dollars down the road. You can trust Luchini's Towing & Recovery.